I've been contemplating and cultivating mushrooms as a source of ongoing surprise and unmatched nutritional supremacy starting from November 2011 and calling this passion “Non-Green Gardening” (NGG) – simply because mushrooms don't produce chlorophyll that makes plants green. 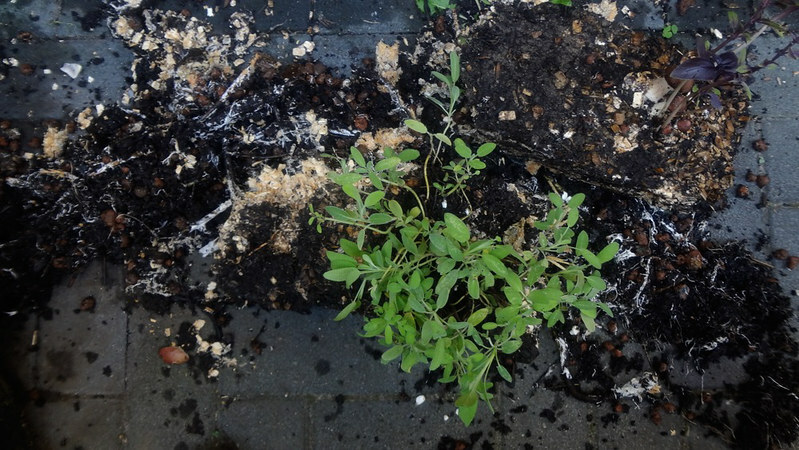 Sometimes during mycelium propagation mushrooms do go green, but that is related to green-spored molds which usually kill the mycelium by turning the NGG into a GG (Green Garden) in a bad way. NGG is an ongoing series of living-lab experiments with mushrooms through theoretical and practical research, curiosity and magic. It sees mushrooms as a recycling, transforming, healing and connecting organism. NGG aims to observe and learn from fungal behavior as a catalyst for continuous exploration of the tangible in quest of inventive pathways that cannot be found or fit in existing conceptual frameworks. Most of the edible mushrooms I've grown so far have lived on dead organic matter or wood and acted as decomposers (Lentinus edodes, Pholiota nameko, Hypsizygus ulmarius, Stropharia rugosoannulata and five different types of Pleurotus species). I first went for the P. species (the oyster mushrooms), as they promised to be low maintenance, experiment-friendly, almost impossible to go wrong with, fast-fruiting, delicious, and colorful (gray, blue, yellow, pink, and white). Within a few months I managed to produce and observe the whole fungal life cycle as it unfolded before me, as well as to extend it by non-sterile propagating methods using the newly grown mushrooms. During the winter I kept the mushrooms indoors and fed them with all kinds of cellulose-based household waste (see http://www.aa-vv.org/node/138). When the spring came I let them out on my Berlin terrace to thrive on something tastier – logs, straw, woodchips and garden scraps (http://www.aa-vv.org/node/142, http://www.aa-vv.org/node/156, http://www.aa-vv.org/node/155). The next NGG step/stop was the urban garden at Times'up (TU) – much more urban than any notion I had of a “garden” (a few vertical beds and containers around the harbor building). I took it on happily as an challenging playground for cross-testing, and inter-planting in order to discover what the best cross-connections of mushroom varieties, kitchen veggies, substrate compositions and locations would be for the given environment (http://www.aa-vv.org/node/145). I went for a whole range of tests combining indoor and outdoor cultivation, spreading the mushroom harvesting season across the whole summer and fall. The suspended bed in front of the building was an unsuccessful choice for the Stropharia considering its position in direct sunlight and lack of watering due to its being covered from the rain. V. P. djamor (The pink oyster mushroom) in the same bed did enjoy these conditions (being a tropical fungus) and gave a few crops over summer. The same goes for the Hypsizygus ulmarius (White Elm Mushroom), which was companion-planted with strawberries and did very well in their shadow in the suspended bed. Stropharia (on wooden chips) in the suspended bed in front of the TU building (direct sun) companion planted with tomatoes, basil, sweet pepper and pink oyster mushrooms at the side of the bed. Stropharia did not fruit in the suspended bed (direct sunlight) – not at all. (The vegetables and pink oyster in the same bed did very well though.) I found the wood chips with Stropharia mycelium almost dried out and overheated already on my return in May, and tried to recover it with extensive watering and cooling down, but at the end of the day this didn't work out, for the following reasons: the bed was constructed in such a way that it would lose water very fast, and was fully dependent on someone to water it continuously, as it was located in direct sun as well as covered from the rain. I suspect that this bed was extremely hot and dry for most of the summer. Stropharia likes the sun, but not over 30 degrees, and not all day long. In these conditions of rapid dehydration, it could not compete for water with the water-loving tomatoes and basil. Moisture absorption from the tomatoes and basil were more of a problem than a help. The other two beds in the semi-shade round the back were very fruitful during July and August – three or four Stropharia crops (although I was a little “surprised” to find out that the harvests were either missed or discarded). Some of the more overworked Time’s Uppers didn’t really catch on to the “mushroom thing,” just a few people made the most of experience taking care of (too many) adopted strangers. I don’t know who got the most mushrooms in the omelette – but many thanks to everyone who tested and tasted the extraterrestrials.. In parallel with NGG @ Time’s Up I also continued to NGG at home (mushroom objects, beds and logs) to experience the crops close to hand, since I was unable to be at TU over summer (http://www.aa-vv.org/node/155). I tried the same kind of companion planting in Berlin, but in a “grounded” bed and in partial sunlight – it has resulted in four mushroom harvests over summer to enjoy! Moist, semi-sunny location is very important for growing Stropharia outdoors. Temperature above 32-35°C inside the bed most likely kills the mycelium. Stropharia fruits repeatedly throughout the season following rain. Misting of the bed in the evening is desirable if there is no rain for a long time. To start a new bed, the colonized woodchips can be used as a spawn for fresh chips. The stem butts of harvested mushrooms can be used as well. An additional layer of straw in the fall and another layer of straw/wood chips in the spring will keep the spawn moist. The cycle should be repeated year after year. This is a super low TEK, very satisfying mushroom to grow, very yummy and excellent for the garden. It teams up especially with aromatic bushy plants (in my experience), as well as corn and beans, but also bees and worms. It is likely to enrich soils, thereby increasing the size and health of the veggies. It might even double the crop. Mushrooms growing is a slow art that involves a lot of observing, experimenting, reflecting, figuring out what works and what doesn't, adjusting, and experimenting again. In this way I continue to learn through trial and error. Mushrooms are infinite and I enjoy to be lost and found in the cultivation of practical knowledge about fungi and beyond.